The partnerships programme we have developed here at King’s covers the whole curriculum and enrichment beyond it. However, one area – a particular strength of the school’s – remains relatively untapped: music. We are launching a major project for community music and we’re delighted to announce that we have appointed Julie Evans as Head of Music Partnerships. Julie will be working part-time for the rest of this year with the Director of Music Will Bersey and the Head of Partnerships, Christina Astin, to scope, budget and plan for a project that will see young children coming to King’s on Saturday mornings for a transformational musical education. We’ve all read about the huge vacuum in education provision in music and the arts. This is robbing a whole generation of cultural capital. Many secondary schools struggle to field Music GCSE, an orchestra or a choir. Free instrumental tuition for primary pupils and county music schools were snatched soon after milk, and the initiative a decade ago to fund class music has given us a generation of ukulele players (or recorder or ocarina). It’s a surface-deep introduction to a non-orchestral instrument, and is more about everyone ‘having a go’ rather than mastering a skill – and children are offered nothing to follow it up by way of progression. An orchestral manager wrote recently about ‘endangered instruments’, fearful for the long-term implications for classical music. We now have a generation of parents with no experience of ‘serious’ music; they are unlikely to introduce it to their children. Of course, there are pockets of good practice and some projects which are making a difference. However, the musical diet for most children in state education (the 93%) is at best patchy. Why is it that only 50% of players in the NYO are state-educated? Is music to be sneered at as the preserve of the posh? And yet, research indisputably shows that learning to play a musical instrument improves health and well-being, develops motor skills, resilience, ambition and cognitive abilities and therefore increases educational outcomes. These benefits should be available to all. So, rather than joining in the collective hand-wringing, we want to do something about it, at least in Canterbury. 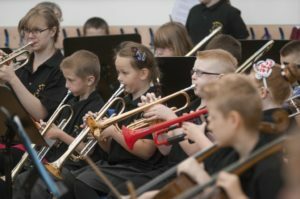 The vision for King’s is to open up the Music School to the community on Saturday mornings, to provide instrumental tuition for little or no charge to primary school children who would not otherwise access it. In time, we will add ensemble playing, creative sessions, perhaps a choir. These young musicians will come to concerts, join our ensembles when they are ready and learn from our musicians who already gain much from this sort of contact. They will contribute to their secondary school and county orchestras – and maybe the National Youth Orchestra in time. They will understand the language of music and feel like insiders, not impostors, going to a concert – and taking their parents with them! There will be much to gain for the students and staff of King’s, not least ensuring that quality music education endures, to the benefit of us all. We’ll also be giving some young instrumental teachers a unique opportunity for development, and strengthening our existing links with primary schools whilst being sensitive to other excellent initiatives going on locally. 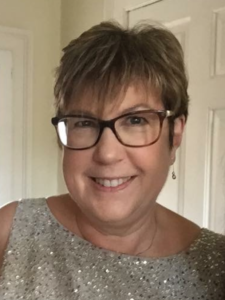 If you’d like to support us – teaching children, sponsoring an instrument or helping with shaping or funding the project – please get in touch with our Head of Music Partnerships Julie Evans at jde@kings-school.co.uk.